Wheel Power Chair Review – Should You Use the Upgraded Compact Mid-Wheel Model? I’m a person who wants nothing but the best. That is why I cannot make compromises when it comes to something as important as mobility. I’m sure it’s the same with you. That is why my aim is to help you find the best electric wheelchair for you. Take advantage of essential buying advice and discover the best models based on my individual research, reviews, and ranking. This model is very similar in design to its manual counterparts, but it is equipped with an electric motor and a battery which supplies power and they make all the difference. The capacity of EZ Lite Cruiser Deluxe DX12 is 330 pounds. This makes it suitable for someone who is taller and weighs more than the average, just like me. At the same time, it weighs just 64 pounds with the battery and 58 without it, meaning it’s a breeze to load, unload, setup and fold for storage. Could this be the best electric wheelchair for you? Padded seat – It’s sufficiently wide and quite comfortable. The seat and its cover are removable, so they can be cleaned more easily and more effectively. Reclining backrest – You can choose from five different positions for getting the optimal support and comfort. Armrests that can be raised – This is incredibly convenient for both the user and the caregiver. 12-inch rear wheels – What impresses me more than the size is the rugged design and construction. You can expect them to perform well even on rougher surfaces. LiFePO4 lithium battery – It charges quite quickly and boasts of great durability. It can last for up to a thousand power cycles. You can expect to have a smooth ride every time you use EZ Lite Cruiser Deluxe DX12. 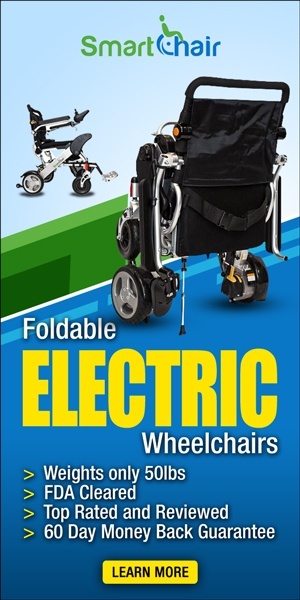 This is what the best electric wheelchair should offer. The motor works reliably, while the joystick is sufficiently sensitive to make steering effortless and hassle-free. This wheelchair has a fairly small turning radius, giving it great maneuverability. You should not have any trouble turning corners. When it comes to battery life, this model scores quite high by being able to cover a distance of over 10 miles with a fully charged battery. This could be the best electric wheelchair for a person who travels a lot and also for someone who doesn’t have much space at home. This 3-wheel scooter offers a fantastic combination of compactness and comfort. This explains why for many people, it is the best electric wheelchair. It is designed for people weighing up to 300 pounds which makes it quite versatile. While it doesn’t fold compactly, it’s easy to disassemble. If you need to hear a further comparison with other electric scooters, feel free to go through my other reviews. Steel frame – It’s quite strong and durable. Seat in stadium style – It measures 17 by 16 inches, so it’s sufficiently wide even for heavier users. I like the heavy padding and the lumbar support which the backrest provides. Adjustable armrests – These provide additional comfort. I just wish they were padded too. Two storage baskets – One is under the seat and the other is at the front of the scooter. They offer a good amount of storage space. 9-inch front and rear tires – I’m impressed with their thickness. They are quite rugged and provide for the power wheelchair’s reliable performance even on surfaces like gravel. Is this the best electric wheelchair in terms of performance? It’s quite maneuverable and easy to steer, given that you can adjust the position of the control panel. The motor runs smoothly and without producing excessive vibration and noise. The top speed of 5 mph is perfectly sufficient for outings, no matter whether you will be running errands or just relaxing in the park. The operating range of GL110 Golden LiteRider when the battery is fully charged is 12 hours. This is very good for a model with lots of features like this one. This could be the best electric wheelchair for those who want to enjoy independence without making any sacrifices when it comes to comfort. 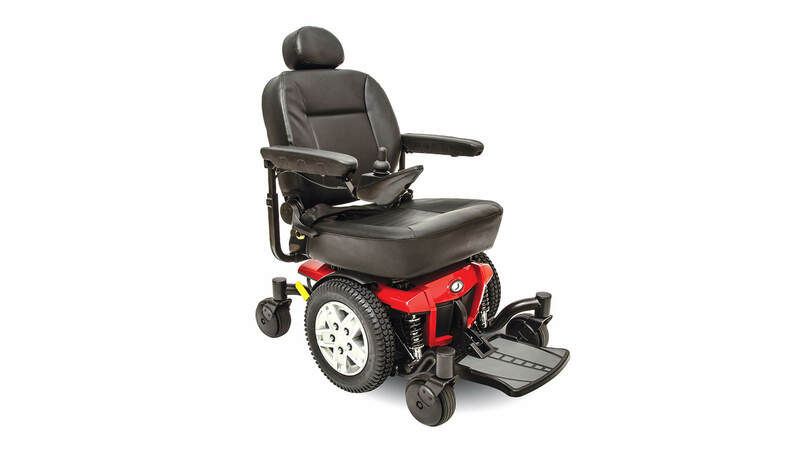 If comfort is your top priority, then this model may be the best electric wheelchair for you. 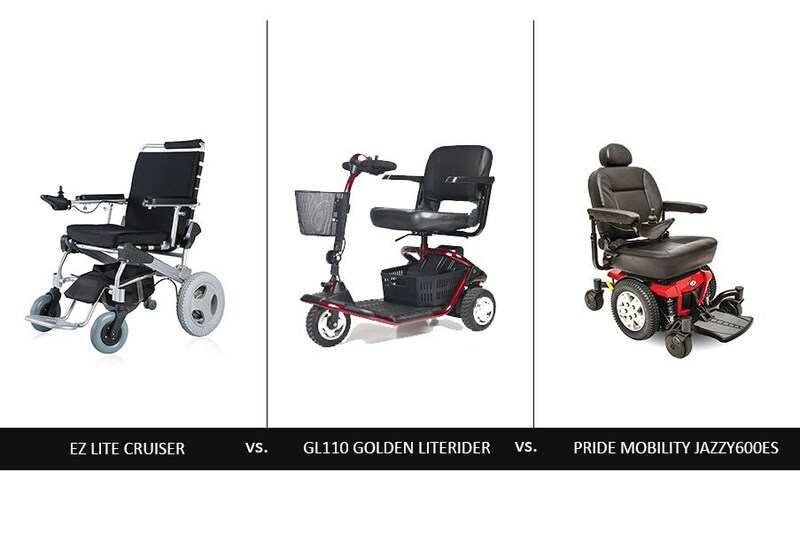 When you first look at Pride Mobility JAZZY600ES, it seems huge, but the reality is that it has a fairly small base. It’s the big seat that makes it look so massive. Keep in mind that its capacity is 300 pounds. It doesn’t have extra than the standard capacity for power wheelchairs of its type. Captain seat – It’s big and has the most amazing padding. It is sufficiently wide to be comfortable even for someone who is heavier. Reclining backrest – It’s heavily padded in addition to having excellent ergonomics. You can expect perfect support and forget about stiffness and aches. Headrest – This is a feature rarely seen in a power wheelchair and I can confidently say that it is an absolute luxury to have. 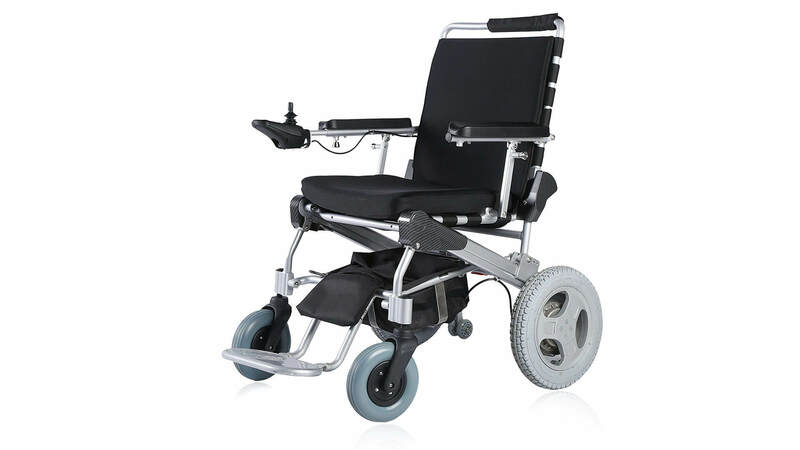 14-inch drive wheels – These are very large and allow the wheelchair to run smoothly on all kinds of solid surfaces. They are paired with two sets of casters – at the front and at the rear. Their job is to provide additional stability and maneuverability and they do it quite well. Big joystick – This makes steering the wheelchair even easier and more convenient. Generally, it gives you perfect control, so you can ride confidently both indoors and outdoors. 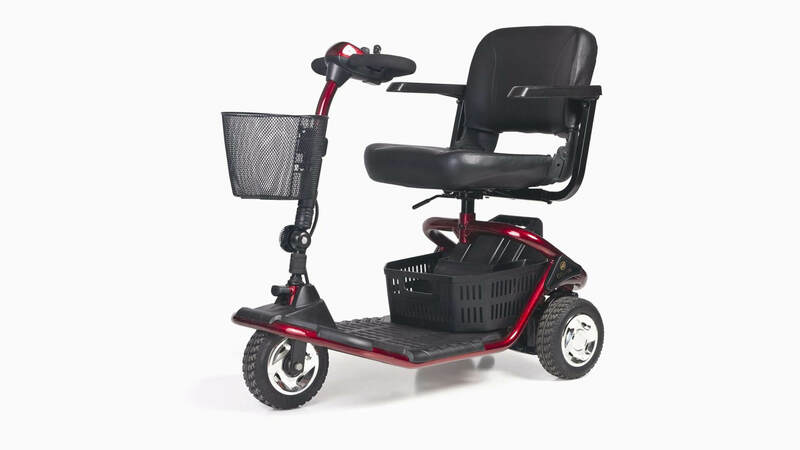 Pride Mobility JAZZY600ES is packed with advanced technologies which allow for a terrific performance. The Active-Trac ATX suspension gives the wheelchair added stability even when the terrain is rougher. It contributes to the model’s maneuverability too. The turning radius of 20.5 inches is more than impressive, especially given the size of the seat. You will be happy to discover that this unit has two motors for even more dependable performance. The battery life is amazing – JAZZY600ES can travel for over nearly 17 miles once the battery has been fully charged. Based on this factor, this model could really be the best electric wheelchair. This could be the best electric wheelchair for people looking for maximum comfort and those who tend to cover long distances during the day. 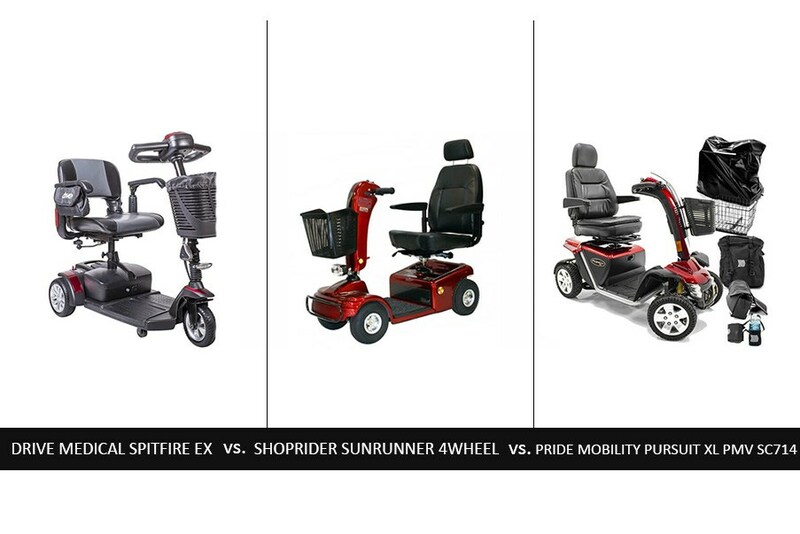 Conclusion – What to Look for in the Best Electric Wheelchair? While the models reviewed here stand out from the rest, it’s important to acknowledge the fact that each user has personal preferences. This makes it tricky to pick among the diverse options available. The most helpful advice which I can give you is to focus on a set of factors to help you decide on the best electric wheelchair for you. These include comfort, convenience, steering, battery life, and maintenance. You could also benefit from more detailed information and reviews which you can access by visiting Amazon. 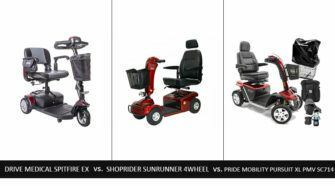 4 Conclusion – What to Look for in the Best Electric Wheelchair? Previous EZ Lite Cruiser WX10 Personal Mobility Device Review - Will You Get Light and Comfy Travel?